Does Willie Monroe Jr. even have a chance against Gennady Golovkin? 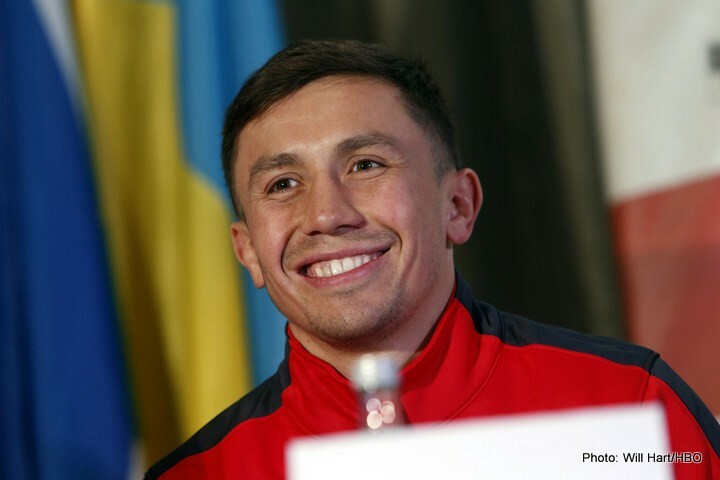 Gennady Gennadyevich Golovkin, better known as Triple G, has become a boxing star. His aggressive, drama show style, has sparked the interests of even casual boxing fans. The way he stalks his opponents, is how you would expect a lion to walk down a gazelle, if it were caught in a 24 x 24 cage. There is no awkward tension, but instead a relaxed predator that knows he is in complete control. Who wouldn’t be entertained by such a show of pugilism? There are however skeptics, that will bring up the burning question, who has he fought? If you do, look into Golovkin’s past opponents you will see his last five opponents have a combined record of 165 wins, and 15 losses. It includes former WBC, WBC silver, IBO, and a unified middle weight champions. His past opposition is far from a group of tomato cans, however none of these fighters were elite. None of them were PPV stars, and none were known by the casual fan. In order to be considered “great” in this business, you have to defeat “great”. Coming up May 16th on HBO, Gennady will face yet another, non elite fighter in Willie Monroe Jr. Even though the boxing world is not in agreement of Gennady’s greatness, most can agree that Willie has virtually no chance to win this fight. GGG is currently an 80 to 1 favorite according to odds makers at bet365. Who is the Willie character? He is a slick southpaw from Rochester New York, and a boxino champion. For those not familiar, Boxino is a boxing tournament, where eight little known, but solid fighters lace up in hopes to come out on top, and earn some fame. Willie is of a boxing pedigree, with a father that was a professional boxer, and uncle “Willie the Worm Monroe” that out pointed Marvin Hagler via unanimous decision, in 1976. Monroe jr is currently 19 and 1 with his lone loss being a split decision that could have went either way. Willie in the ring is more dangerous than the Willie on paper. The Boxino Champ, is fast, and his foot speed requires a double take at times. Somehow he will span half the distance of the ring in the blink of an eye. This kind of movement, and speed, combined with a southpaw style is the kryptonite for a puncher. Golovkin will come out, in predator mode, and try to walk down Willie as usual, however the Boxino Champ will Dance, and prance to safety while delivering pot shots, and combinations from angles. A pure boxer with this kind of foot speed, stylistically should be able to box circles around a flat footed puncher like Golovkin. The classic tale of the pressure fighter vs. the boxer is essence of the sweet science. To count the boxer, out in such a matchup is a mistake. Especially when they have the legs, Willie Monroe jr does. Willie Monroe jr definitely has a chance of winning this fight. It’s a tragedy that the danger Willie brings will not be appreciated before fight night, and Golovkin will not be appreciated for defeating this stylistic nightmare if he pulls it off. An advantage to being a professional fighter is that you can choose your opponents. You can play towards your strengths, and avoid your weakness, unlike the amateurs where you have to face all comers. Kudos to Golovkin and his team for giving the fans a great fight, that will be under appreciated, and more dangerous than most of them will ever know. I do expect Golovkin to win this fight, but its not because I think Willie Monroe jr, is not a true test. Its because I do believe that Golovkins greatness will reveal itself over time, and this is a milestone in his career. I expect the stock of Willie Monroe jr to rise, even in defeat as he demonstrates what a born, and bred pure boxer is capable of even against a lion in 24×24 cage. You are here: Home / Boxing News / Does Willie Monroe Jr. even have a chance against Gennady Golovkin?